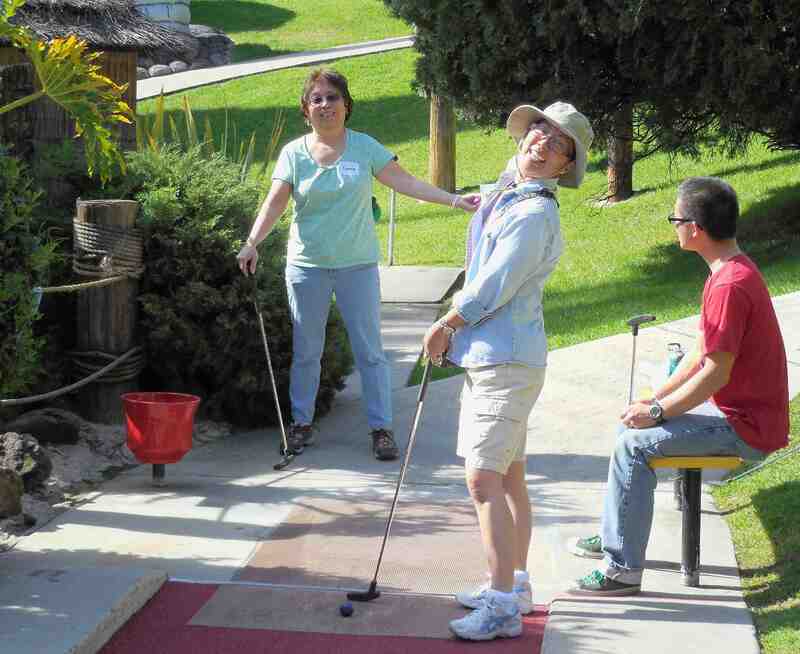 Phebe Arlen (center) and friends enjoy the day at a recent Rising Stars Miniature Golf Tournament. ANAHEIM – The upcoming community leaders of Rising Stars 14 will hold their 14th annual golf tournament fundraiser on Saturday, March 4, at Camelot Golfland, 3200 E. Carpenter Ave. in Anaheim. The event, which starts at 9 a.m. and goes until 2 p.m., includes continental breakfast, golf and an all-you-can-eat buffet pizza lunch. Hit the putting green and support the leaders of the next generation as they host their very own miniature golf tournament. As part of the Rising Stars Youth Leadership program, participants undergo a series of workshops to help prepare them for the future and the tournament. The students must apply all the skills that they have learned to create an enjoyable event and raise funds for next year’s Rising Stars Program. This is a great opportunity to spend time with friends and family while enjoying food, golf, a raffle and more. Cost of entry: $20 for adults, $15 for children 12 and under; $10 for lunch only. Raffle tickets are $2 each. Prizes will include an Apple Smart Watch (first), two Disneyland Park-Hopper tickets (second) and a gift card tree (third). For information about Rising Stars, contact Glenn Nakatani at [email protected] or visit www.nikkeifederation.com.